Reliable Imports & RV is at 438 S Ingram Mill Rd in Springfield Missouri. We are a full service dealership. Reliable Imports promises the highest possible level of service, and a genuine & overriding concern for the customer's needs and expectations. We offer a great selection of new Mazda, Hyundai, and Subaru vehicles. We also have a huge Pre-owned Mega Center and always have a great selection of fantastic used cars. We also have New and Used RV's and carry the top manufacturers Airstream, Itasca, Winnebago, Forest River, and Coachman. You can be sure that you will find the vehicle that fits your needs here at Reliable Imports & RV. Reliable Imports (MO) is always seeking outstanding people to join our Automotive team. Join the Reliable Imports (MO) Talent Network today to stay up-to-date on our current openings for Automotive jobs as they become available! 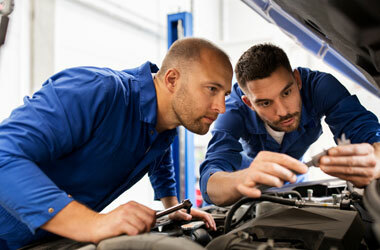 We currently do not have any openings for Automotive Jobs at Reliable Imports (MO). If you join our Talent Network, we will email you as soon as similar jobs become available.